When a young girls exorcism goes horribly wrong and results in her death, the priest involved, Colin Hampstead, gives up the church. He marries the dead girls older sister, they move away and start a family of their own. Eight years later, Colin is now a famous writer and he and Kayleigh run a successful B&B. They have a happy life together were it not for the fact that Kayleigh is still plagued by the ghost of her troubled sister, Jewel. When some of Colin's friends come over to stay and celebrate their wedding on what would have been Jewel's birthday things come to a head and the bride-to-be Lara helps the couple discover the truth and lay ghosts to rest. Considering this films title (which has been done to death and not particularly apt for such a picture) the supernatural elements a few and far between. 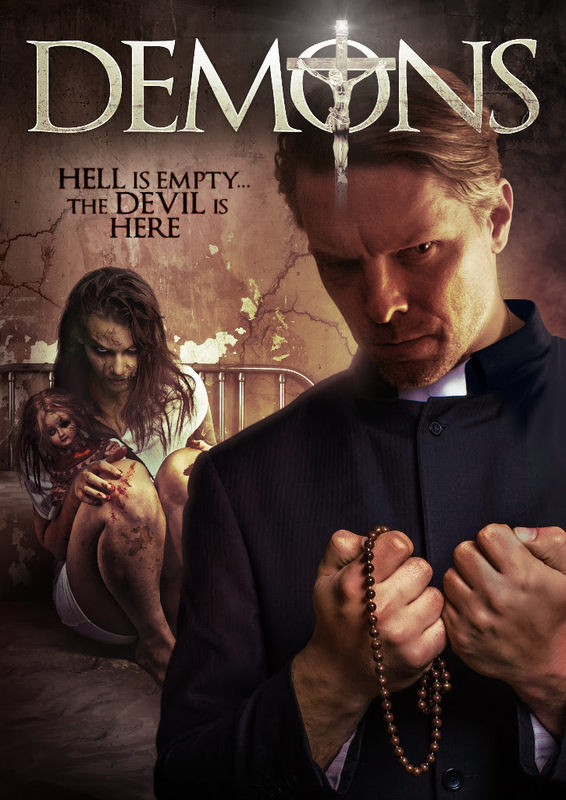 It starts off with similarities to various other exorcism movies but goes off in a different direction which then leads you to think it may not be a simple spirit infestation. Even the priest, played by director Mike Doleac, believes other forces may be the cause of Jewels behaviour. Through a series of flashbacks and lengthy discussions the truth is finally realised and for once it is not necessarily the outcome you may expect. The acting is fairly proficient from most involved but it features far too much dialogue and philosophical discussion that things do get boring and the characters aren't exactly that endearing or likeable. The cast features Andrew Divoff (The Djinn in WISHMASTER) as Jasper Grant, the girls father plus small roles for John Schneider (Dukes of Hazzard) and Gary Grubbs (JFK). As there is not an awful lot going on there aren't a lot of special effects to speak of but the possession scenes do contain a reasonable amount of profanities and bed soiling to whet your appetite but don't expect a whole lot more. The soundtrack was perfectly adequate throughout though. Definitely on the tamer side of horror, I'm not too sure which audience this will appeal to most. It seems more like a Thriller/ Drama type thing if it weren't for the possession aspect. It is far too long with way too much talking and not enough of anything else, it is certainly not one I will be watching again.